Hi there! I'm really tired and I need to paint my nails so this will be a short post. 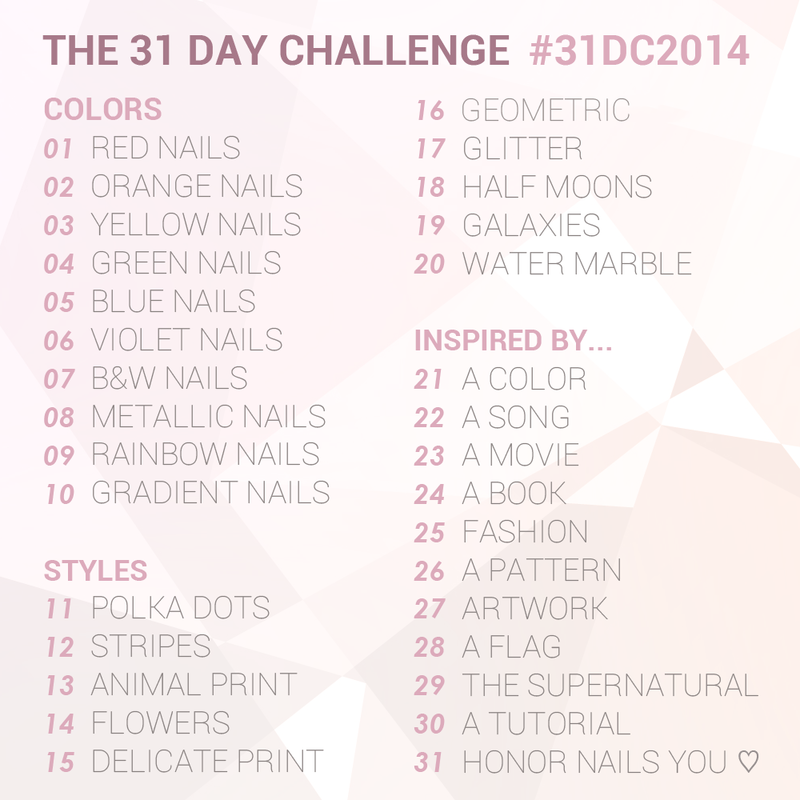 The theme for day 15 is delicate print. Here you go! I got this polish from Christina as a birthday gift. It's actually my birthday today! 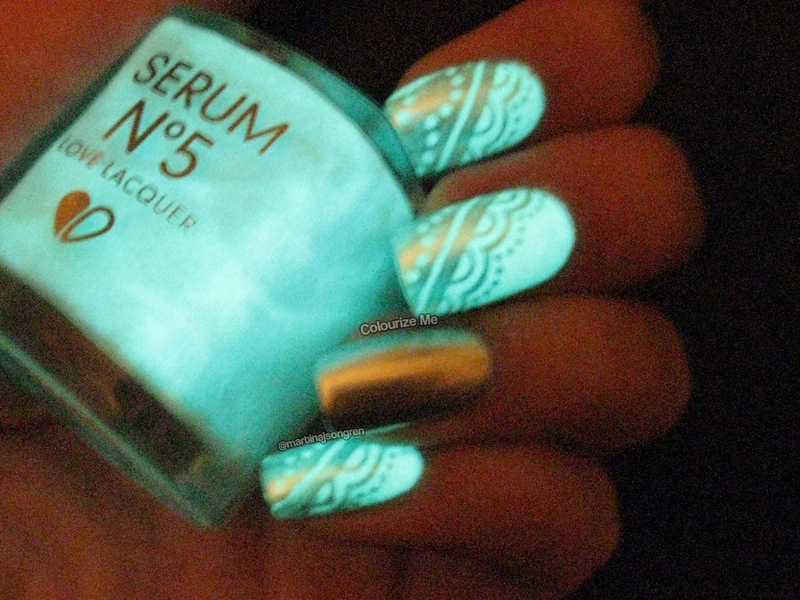 The polish is Serum No.5 Glowin' Of Eden and it's a beautiful light green polish that glows in the dark. It does glow a bit more green than the picture shows. The formula was not that great. I had a lot of problems and I didn't like it. Too bad, 'cause it's a really pretty color. 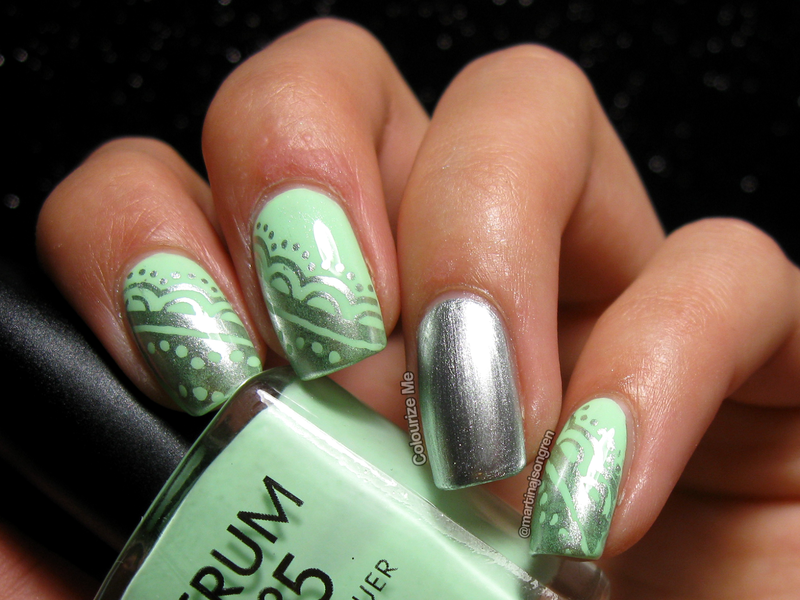 The stamp is a lace pattern from Pueen plate 28 and I used the silver polish from Depend with the number 223. Works totally okay for stamping. Check out day 15 from last years challenge, click click! Du är så förbaskat bra på det här Martina! !